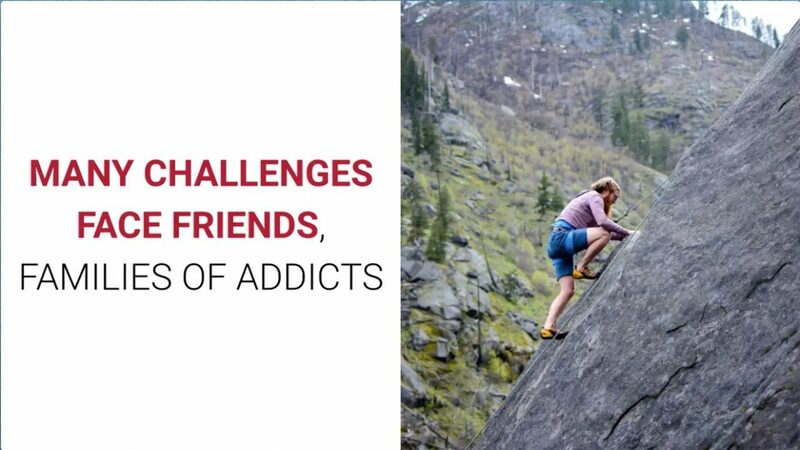 If you live with someone experiencing addiction, you know the challenges it places on you, your family and friends. But do you fully recognize the impact it makes? You have to understand, it’s completely natural that ‘the new normal’ often takes you to a place with such a large reach over your life. Think of the amount of physical and emotional effort that goes into handling the addiction of a loved one. Do you sleep more than usual? Or much less? Look at your eating habits; food is often used as a coping mechanism, so you may be eating much differently than usual. And that can result in weight gain or (with loss of appetite) weight loss. If an addict recognizes their problem, they often don’t take full ownership. Rather, projection is used to blame a family member or friend for their own challenges. That adds to the overall stress experienced by those surrounding the addict. It can easily lead to relationship issues caused by drug abuse. Why can’t I make them stop? How will people look at me as a spouse/sibling/friend? How will the kids respond to this? I’m sure there are other questions you pose yourself on a regular basis. It adds up to a very stressful way of life. As you worry about your loved one battling addiction, you also have to be mindful of the damage all the stress is causing you. If you are able, reach out for counseling or support groups in your community. This isn’t about finding a solution to the issue of addiction. However, you cannot neglect your own well-being. You also may have more to offer, in terms of support, if you are able to create a healthier you. We understand a natural inclination is to immerse all your energy into the situation in an effort of trying to find resolution for the addict. But remember, you need to be healthy enough so you can address that, as well as your own valuable life. There’s another issue that is important to the family dynamic. Not only does it apply to addiction, but other issues such as grief. Not everyone has the same views on the severity (or even, the existence) of the drug problem. Family members and close friends can turn on each other because not everyone shares an identical level of concern. Also, sometimes so much attention is given to the ongoing substance abuse issue that others who want (or need) attention feel neglected. If you are exhausted to read all of that, imagine what all that can do to a person’s overall health. A 2016 report by AARP noted approximately 2.6 million children are being raised by at least one grandparent due to drug addiction. Not only can this tear apart the relationship between addicts and their children, but creates a family dynamic where a grandparent moves from their existing role to that of a caregiver. This can also cause stress – physical, emotional and financial – on the aging population, which already has concerns about budgeting their money over the final portion of their lives. If there are no grandparents available to raise these children or for various other reasons, children of addicts are often placed in the foster care system. All the best intentions in the world are not enough to make any relationship easy, even in the best of circumstances. In the worst case, however, the odds of weathering a relationship storm caused by addiction are much more daunting. Keep in mind, it’s not only the direct issue of substance abuse that has an impact. The ensuing arguments and altercations among adults may also leave a mark. And think about how children process what they see on a regular basis. This has a direct affect on how they develop in those formative years.